Alvin (“Call me Al’’) Rauls must be accustomed to all this tuxedo stuff by now. Three weeks ago, he wore the penguin suit while being inducted into the Alabama High School Athletic Association Hall of Fame at the Renaissance Hotel and Conference Center in Montgomery. Tonight, he’s going into the Huntsville-Madison Country Athletic Hall at the Von Braun Center wearing the same stylish attire. Take a bow, Coach. You earned it. It’s only fitting that Alvin Lemuel Rauls should be recognized by two halls of fame in Alabama in the same year – fitting because he definitely deserves membership in both. He has earned it locally, regionally, and statewide because of his coaching skills, his enviable record on the field of play, and his unwavering dedication to impressionable young student-athletes of both genders over the past four decades. 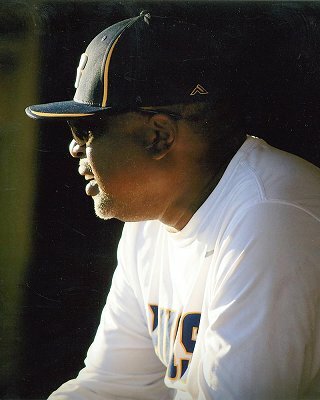 He also holds the distinction of being the first African-American coach in the history of the Alabama High School Athletic Association to win state championships in both baseball and fast-pitch softball. In 2017, Rauls won the AHSAA’s “Making a D ifference Award" for his many years as a first-rate teacher and coach. For these and his other multiple awards, the 63-year-old Rauls deflects much of the credit to his wife, Donna, and their daughter, Shona Scott, now a biochemist with a degree from Auburn. Born in Albany, GA, on March 28, 1955, Al Rauls began playing baseball at the age of 9 in the recreational leagues of his hometown. Within five years, he was one of the best baseball players in Albany, a city long known for producing such celebrities as singer Ray Charles, baseball player Ray Knight, football players Lionel James and Alexander Wright, and – not least – the late Alice Coachman, the first American black woman to win an Olympic gold medal (in the women’s high jump event at the 1948 Olympic Games in London). Although Rauls has always claimed he was just an average athlete at Albany’s Monroe High School, he was good enough to be awarded a full baseball scholarship in 1972 to Florida A&M University in Tallahassee, where he played second base and was named the team’s MVP as a senior. One of his Rattler teammates was outfielder Andre Dawson, an eight-time major league All-Star who was inducted into the Baseball Hall of Fame at Cooperstown in 2010. Rauls graduated FAMU with a degree in Heath, Physical Education and Recreation in 1977. Because of his love of baseball, Rauls’ first coaching job after college was back in Albany, where he was the player-coach of American Legion Post 512. He moved to the Huntsville area in November 1977 to become the Director of Parks and Recreation in the small river town of Triana. The first African-American recreation director in Alabama, he continued running the day-to-day duties of his department and also handled Triana’s summer youth program until 1982, when he became the program director for the Madison Recreation Department. In his “spare’’ time, he also coached the Alabama A&M baseball team (1981-84), helped Bob Jones High School in football and baseball, coached Huntsville’s American Legion Post 237 to a state championship in baseball, and also began refereeing high school basketball games, a moonlighting job he held for more than 20 years. In 1988, he began working full-time for the Madison County school system as head baseball coach, assistant football coach, PE teacher and Driver’s Education teacher at New Hope High School, where his 1992 team fi nished 33-5 and won the Class 3A state baseball championship after finishing second in 1990. His 1994 team was also runner-up in the state tournament. Rauls filled in for one season (1994 ) as New Hope’s head football coach, going 5-4, before moving over to Sparkman High School in 1995-96 as head baseball coach and assistant football coach. The following year, he transferred into Huntsville as the head baseball coach at Butler High School, a job held for five years until moving back into the county as the head baseball coach at Bob Jones from 2002-2006. Since 2007, he has served as head softball coach at Buckhorn High School in New Market. Over the past 11 years, Rauls has become one of Buckhorn’s enduring sports legends by coaching the Lady Bucks softball team to more than 300 victories, culminating in the state 7A championship in 2017. Thanks to his 1992 baseball team at New Hope and his 2017 softball team at Buckhorn, Rauls is one of only two coaches in the history of the Alabama High School Athletic Association to win a state champ ionship in both baseball and fast-pitch softball. The other is veteran coach Chris Goodman of Alabama Christian in Montgomery, whose 2004 baseball team won the 4A state title in 2004 and whose softball team won it all in 2007. Some casual observers may think it’s an easy transition to coach both baseball and softball. Not so fast, says Al Rauls. “The two games are different in a lot of ways," Rauls told Madison County Record reporter Bob Labbe in a recent interview. “But for me, I had to change my coaching style. I was a hard-nosed, loud and aggressive coach who believed in strong discipline, but I soon knew I had to change my tactics. Girls need to be coached differently than boys. I spoke to some of my female coaching friends about my changes. I softened my voice so as not to make it sound as aggressive." Remembering his first day on the job as the softball coach at Buckhorn, Rauls said: “I gave the girls a motivational speech in the dugout and some of them began to cry. The next day, the same girls who cried were happy and accepted me right away. It was certainly a learning transition to softball. I coach them strongly, but they’ve learned I really care about them." The story brings to mind the 1992 movie “A League of Their Own" and Tom Hanks’ portrayal of a frustrated manager who spots one of his female players sobbing in the dugout. In a loud voice, Hanks admonishes the offender with a classic line that will live forever in cinema lore: “There’s no crying in baseball!" If Al Rauls ever thought about telling his Lady Bucks that there’s no crying in softball, he apparently managed to avoid the temptation.